Security indexes (or indices, depending where you are from) predate the 20th century and have been used as benchmarks for investment managers for many decades. Beginning in 1975 (or potentially as early as 1967), investors began using index funds as a way to passively invest in a subset of securities based on a clear set of rules, gaining broad market exposure while reducing costs. Over the last few decades, we have seen enormous growth, of both interest and assets, in index mutual funds and ETFs. These fund vehicles make passive indexing easy for all investors and are available across multiple platforms. 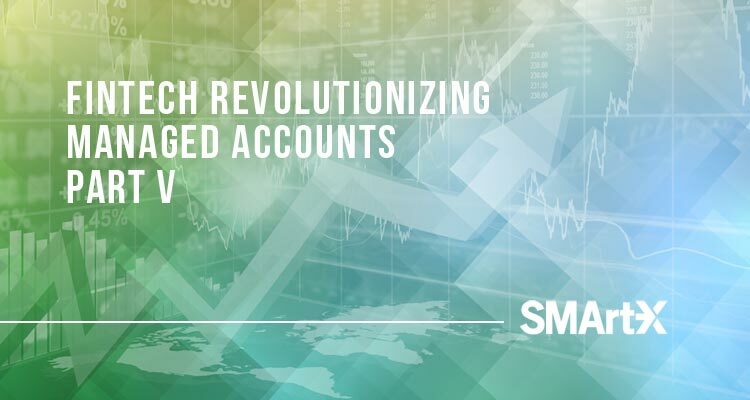 Recent advances in technology have brought passive indexes back to their pure form by enabling a parallel investment option in the form of direct indexing, accessible to advisors through the SMArtX UMA platform. Utilizing the SMArtX technology, advisors and their clients can invest directly in securities held in the index as easily as buying an ETF. Why does this matter? The biggest advantage is the ability to use tax-loss or tax-gain harvesting on a portfolio holding many different securities. Additionally, direct indexing does not have the same liquidity and dispersion issues during periods of high market volatility in ETFs, and SMArtX is able to provide intraday pricing and liquidity, a marketable improvement over mutual funds. Innovative index providers have also been improving the status quo and creating a number of new index products that have the ability to execute investment strategies both long and short, facilitating strategies such as market neutral and hedged products in any given sector, geography, company metric, etc. These indexes, and other investment strategies, can all be found on SMArtX’s model UMA marketplace.